Theriault also reflected on his career that was nearly over before it got off the ground. “Two years ago … December … I was sitting on the couch with a broken back staring at the walls, asking myself, ‘is this the end for me?’ Then I thought I’d make one last try … PRI, 2016. I got myself dressed like I was looking for an opportunity … came by myself. I just happened to bump into Kenny and Ann [Schrader]. What’s the chance of bumping into the person who can take you to the next level? I couldn’t have asked for a better family in this sport. Everybody has a ton of respect for Ken Schrader, and so do I. I can’t thank him enough for taking a chance on me. The County is pleased to feature content from our sister company, Bangor Daily News. 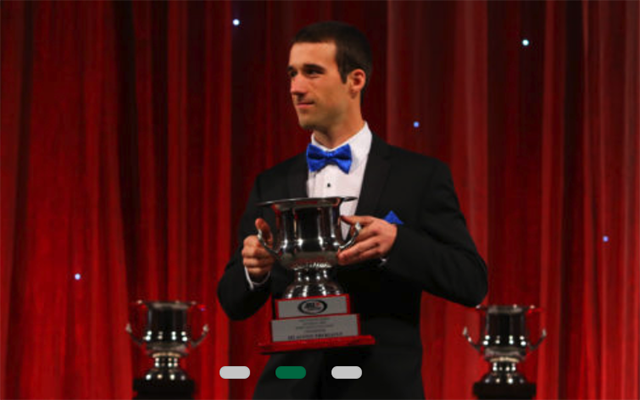 To read the rest of “Maine driver honored as ARCA racing champion,” an article by contributing Bangor Daily News staff, please follow this link to the BDN online.